Today, I wish to thank you all for amusing my parents, frightening my partners, supporting my foundation, watching my shows, soliciting my opinion, making my memes, telling me to run for office, telling me to pound sand, and in general, raising the online standard for thoughtful discourse and overall silliness. I’m much obliged. 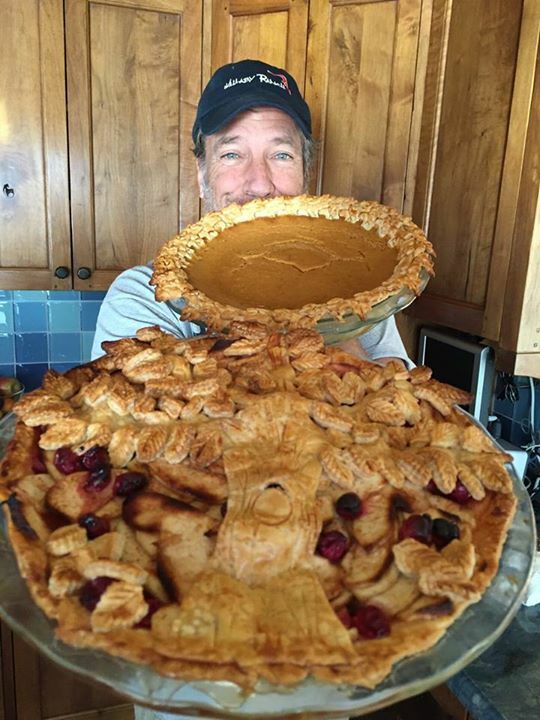 Thanks to the incomparable baking skills of Amy Disston, I have a lot pie on hand today, but not quite enough for all 3 million of you. Apologies. Perhaps next year. In the meantime, please accept my gratitude for the chance to rant, vent, opine, pontificate, elucidate, and shamelessly plug that which matters to me. Which today, just happens to be you.